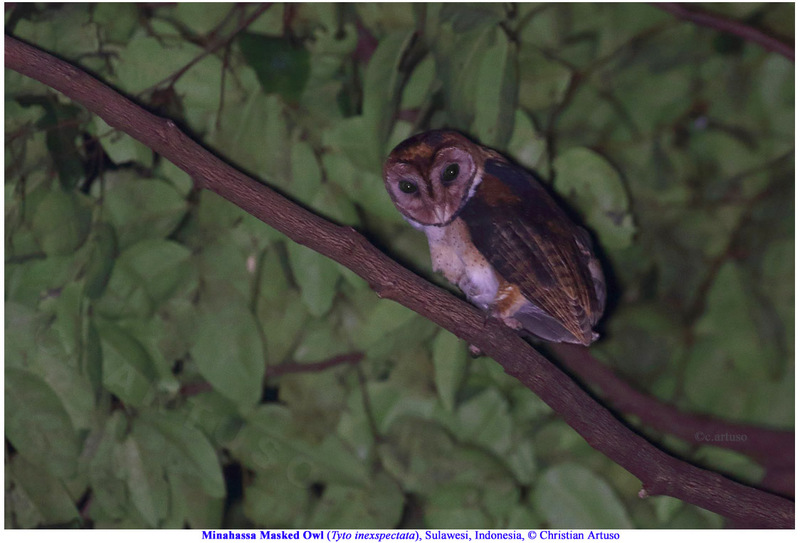 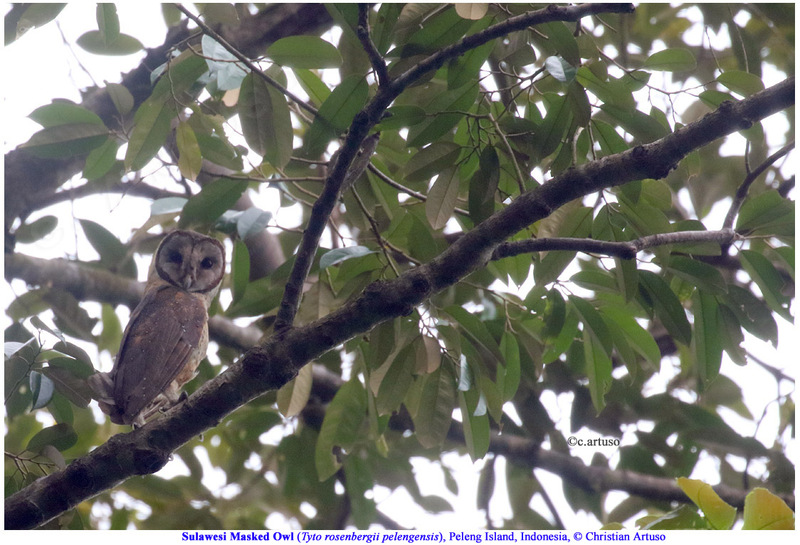 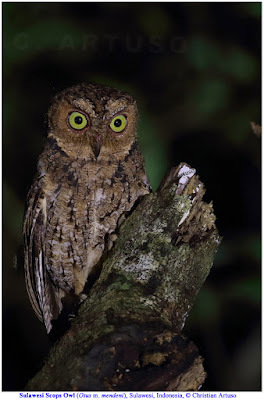 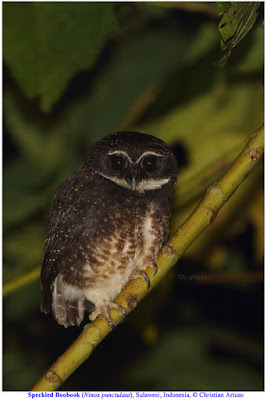 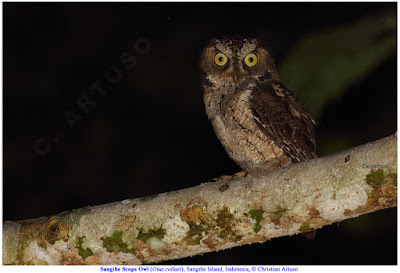 I am just back from a trip to the island of Sulawesi and several small satellite islands, where I saw 13 owls species. 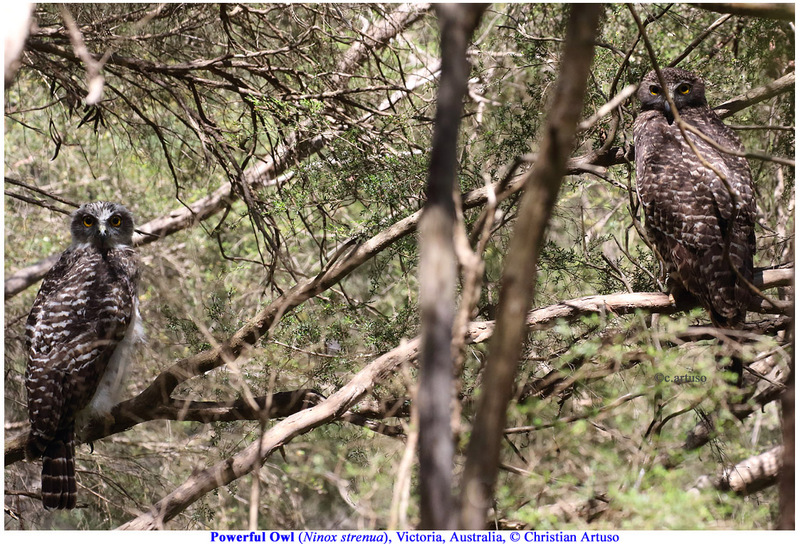 On the way, I had a brief stop-over in Australia and managed to see 5 owl species with help from friends. 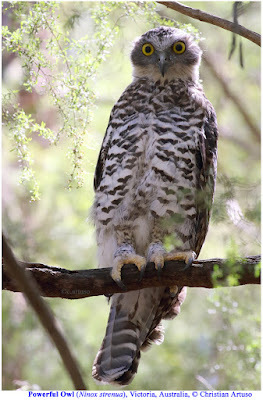 So, I have 18 owl species to write about, starting with five from down under! 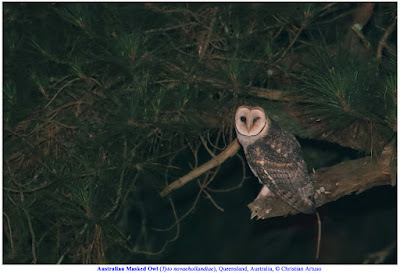 The Australian Masked-Owl is another Barn Owl family (Tytonidae) member and, as its name suggests, it is endemic to Australia. 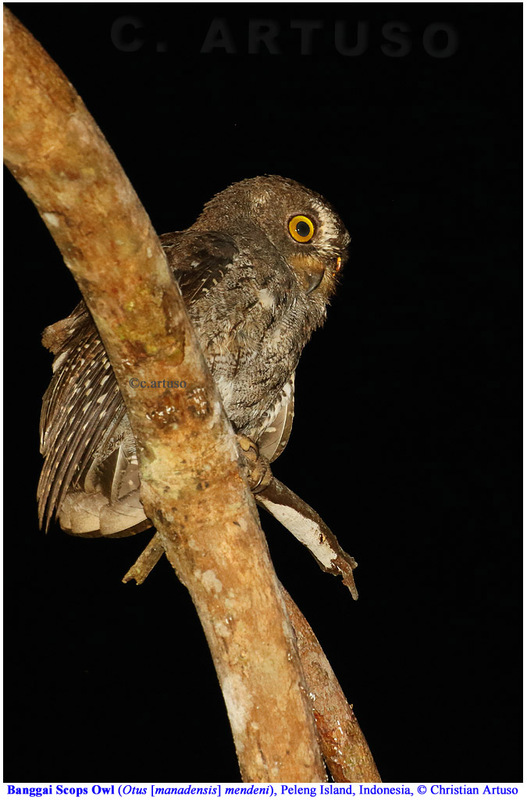 Interestingly, this species comes in at least two morphs, from pale grey and white (like the youngster shown here) to a rich buff/chestnut. This is a forest-dwelling Tyto owl, typically associated with tall forests that rather open in structure, although a variety of habitat types are used (the individual shown here is in an introduced conifer species). 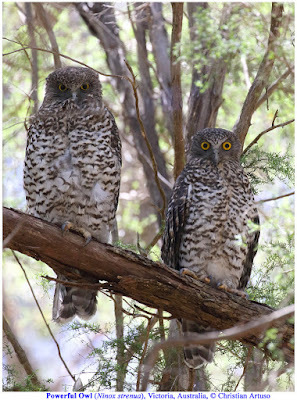 These tall (mature) forests of course have trees which provide large enough cavities for nesting, a critical resource (on a continent where no woodpeckers occur to make them), although nesting in caves and on cliffs has also been recorded. 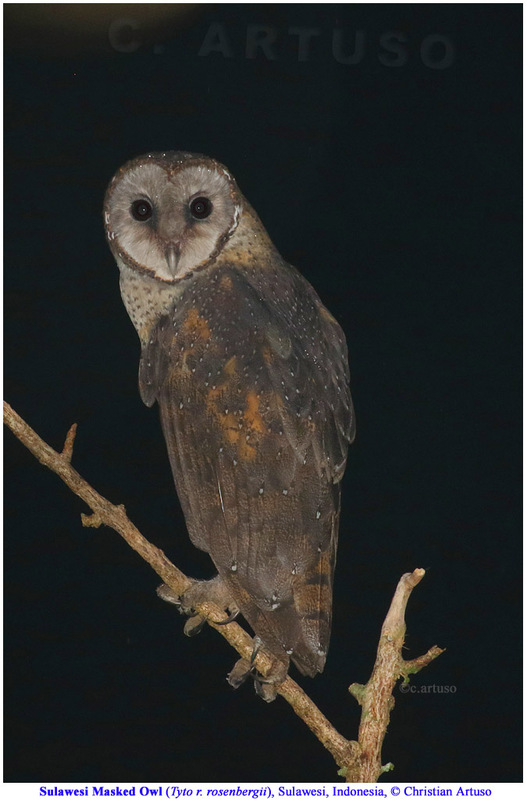 From the “barn owl” family, we switch to the typical owl family (Strigidae) and to a genus of typical owls with a mostly Australasian and Southern Hemisphere distribution (although a few reach Asia and the Northern Hemisphere). 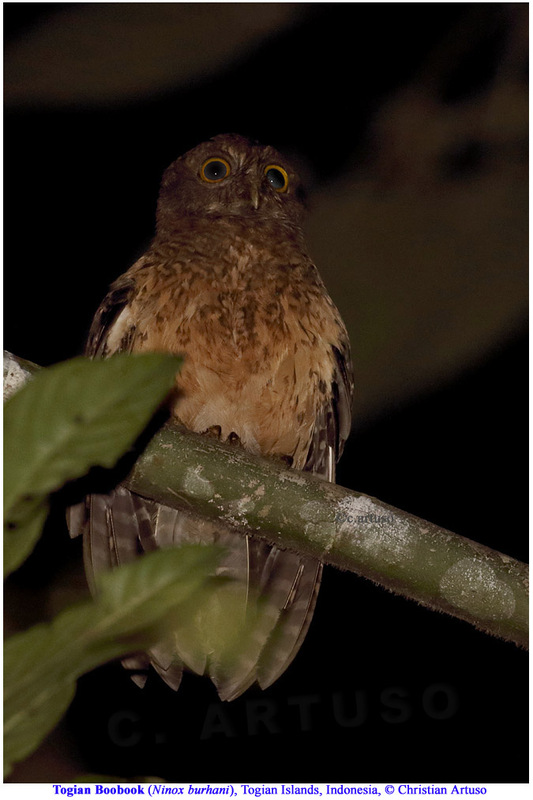 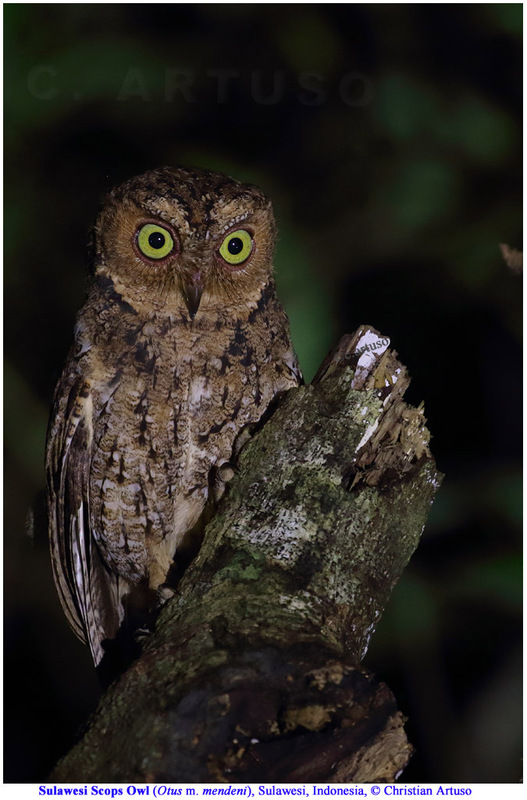 The owls of the genus Ninox are often called “boobooks” (an onomatopoeiac word describing the two-syllable call of the Southern Boobook, although many members of this genus have similar disyllabic calls). 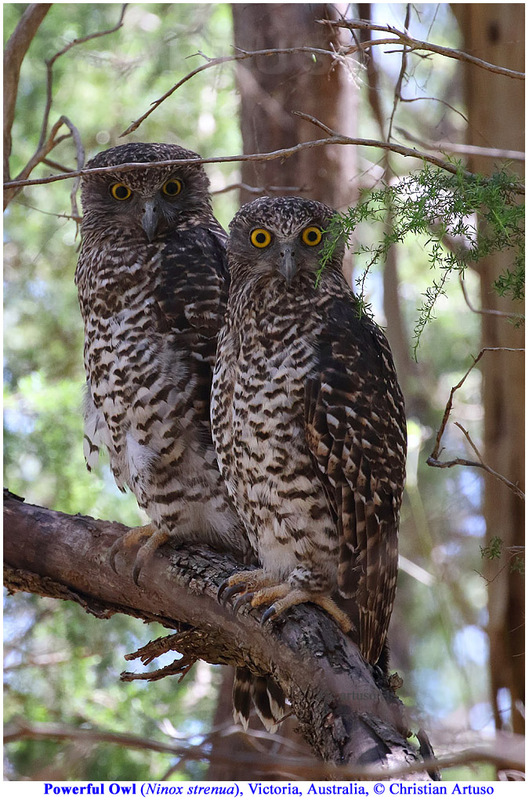 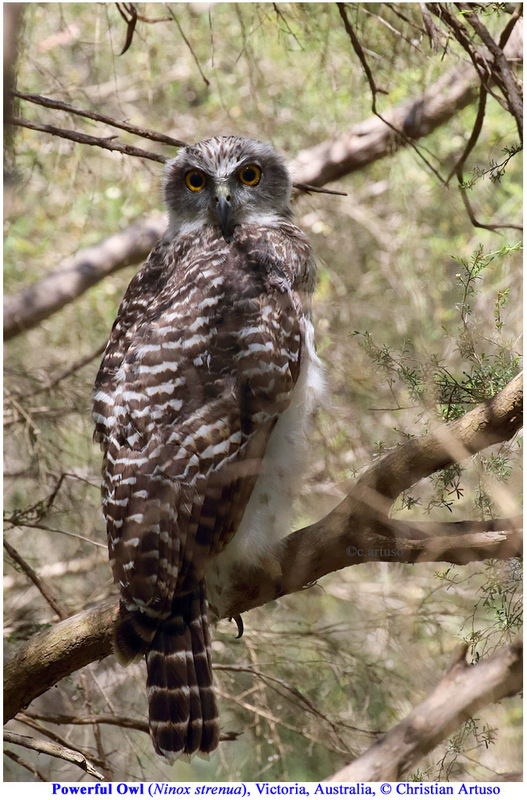 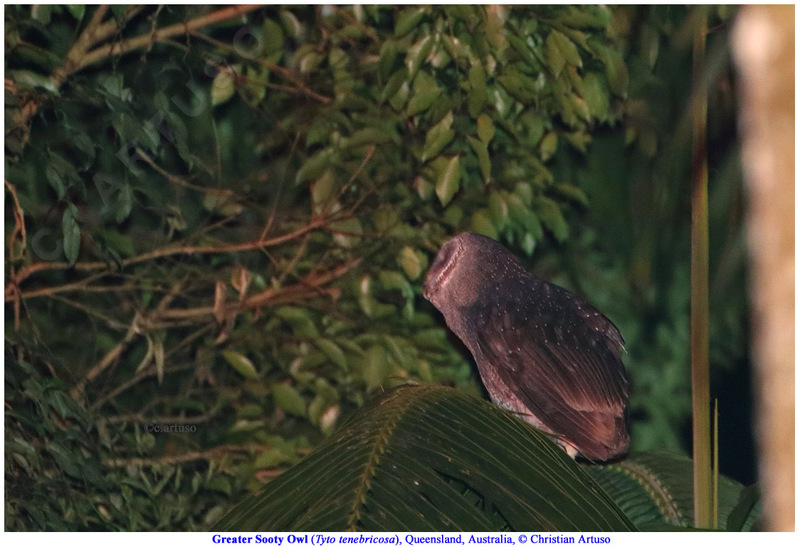 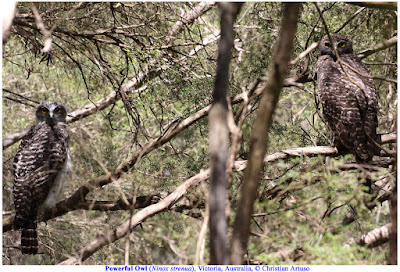 Ninox is the only genus of typical owls (Strigidae) that occur regularly in Australia. 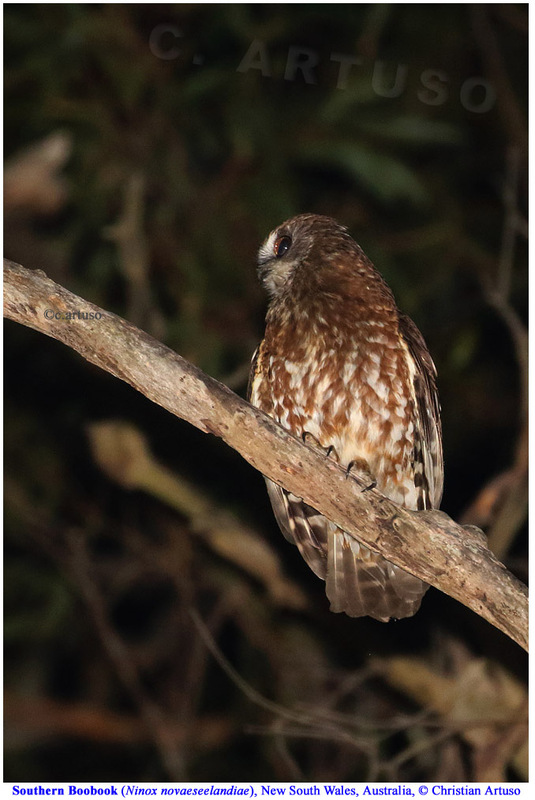 I found this pair of Southern Boobooks hanging around a cavity in a suburb of Sydney, as you can see in the second photo (one advantage of my habit of getting up at 4 am). 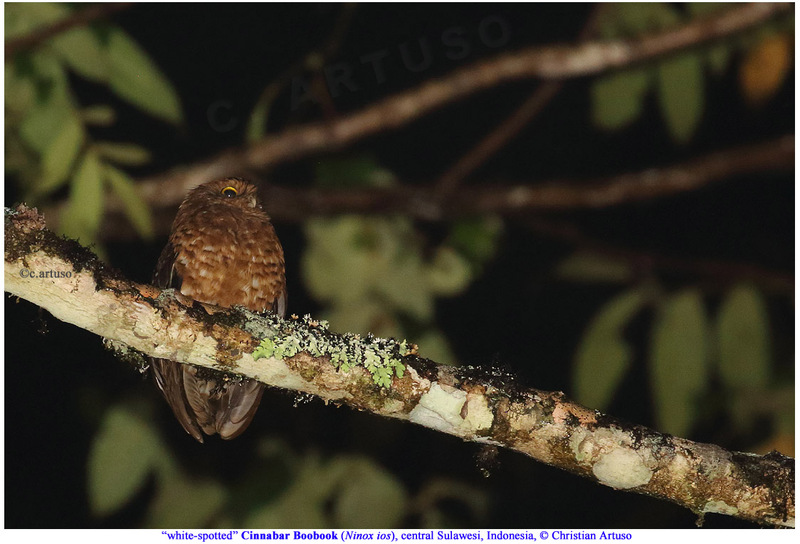 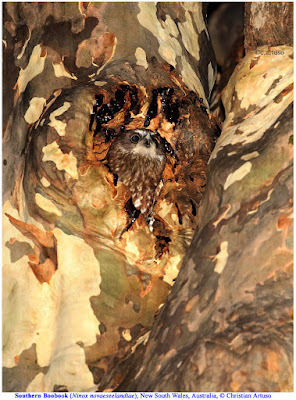 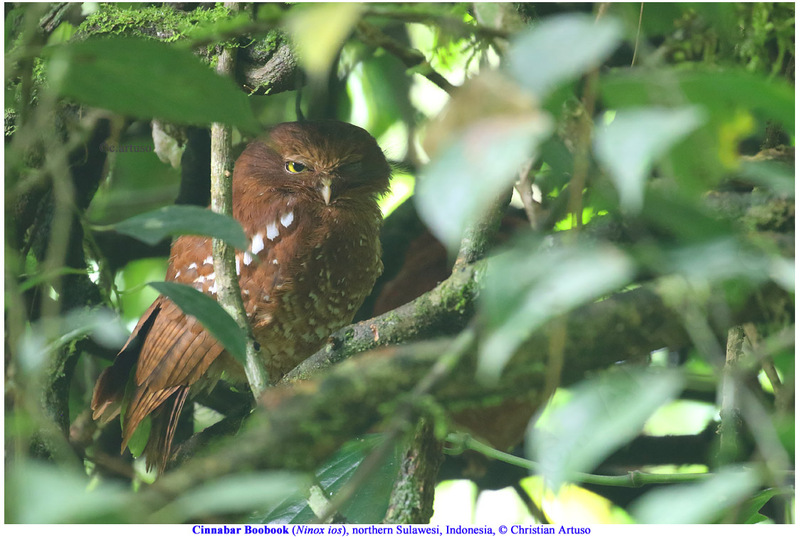 The Southern Boobook is a common species found in much of Australia, southern New Guinea and on several islands in eastern Indonesia (Wallacea). 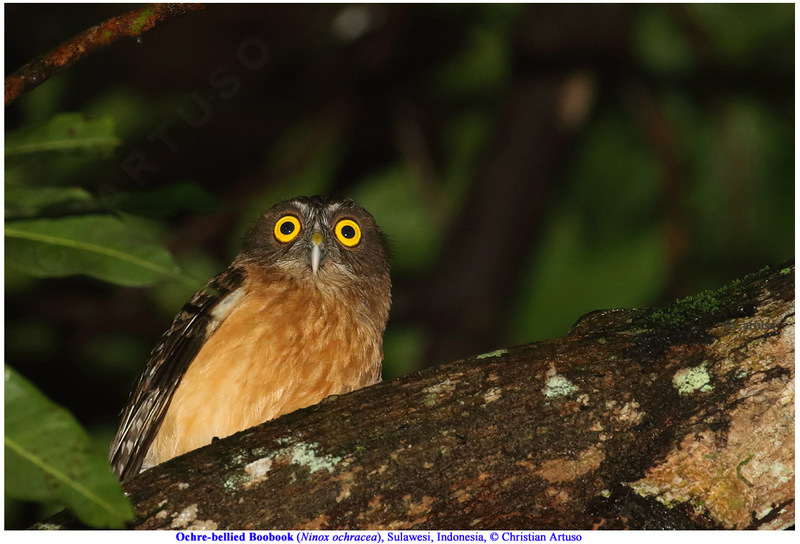 There are at least 10 subspecies, considerable variation in colour and even call, and no taxonomic consensus on where species boundaries within the complex might occur. Like so many owls of the Southern Hemisphere, a lot of research is needed to clarify its status. 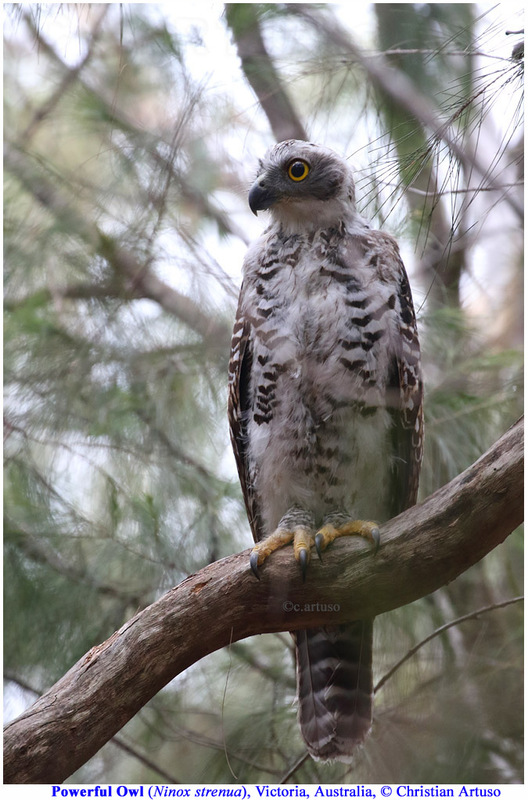 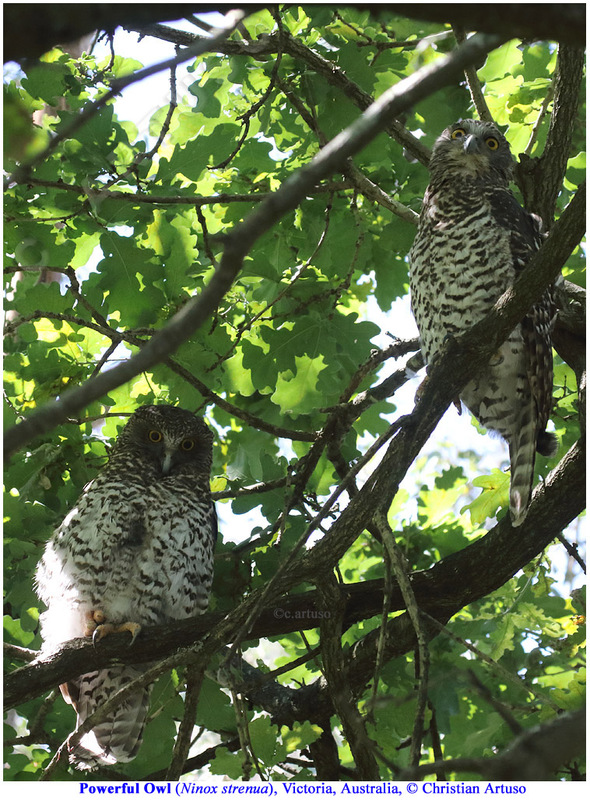 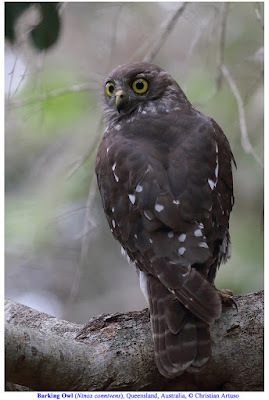 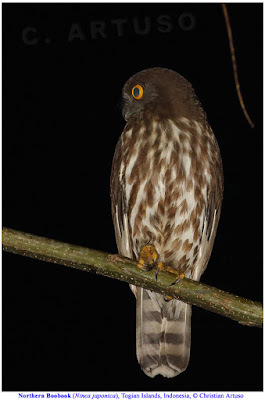 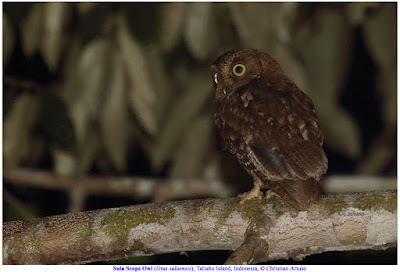 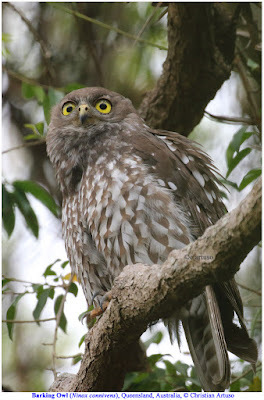 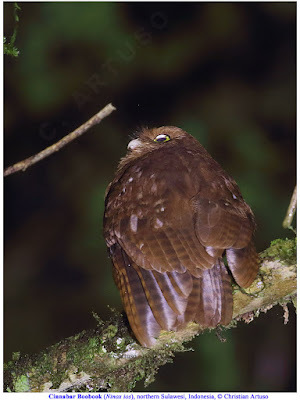 The Barking Owl, so named for its gruff call, is quite a large Ninox species (though noticeably smaller than the Powerful Owl) that can reach 44 cm and 700 g. Like the Powerful Owl, it also has a rather elongated shape, small-looking head and a minimal (barely discernable) facial disk. It is resident in parts of Australia, New Guinea and the Moluccan Islands of Indonesia. 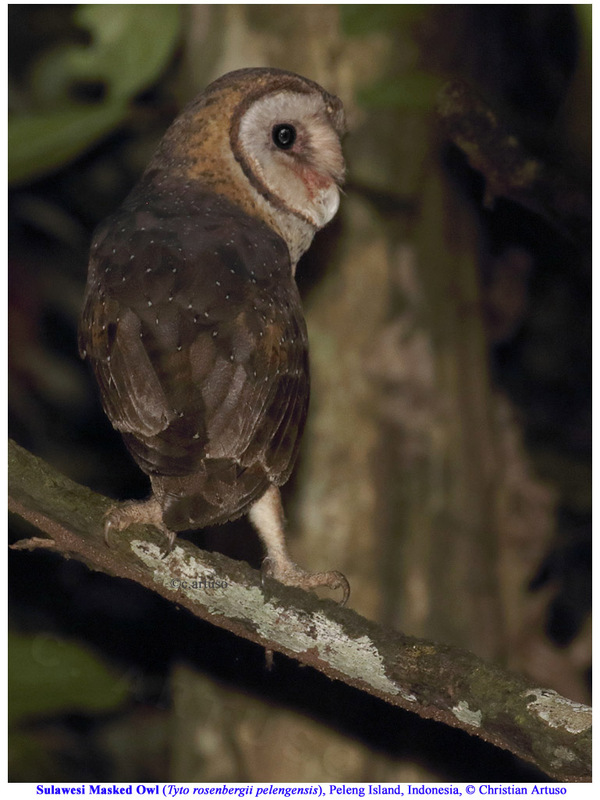 The weak facial disk (and symmetrical ears) suggests that eye sight is used more than hearing in hunting. This is because the stiff feathers of an owl’s facial disk are very good at channelling sound to the ears. The Barking Owl is known to consume many insects, and to hunt them by grabbing them in flight by sallying out from a perch (they also catch other flying prey such as bats in this manner). 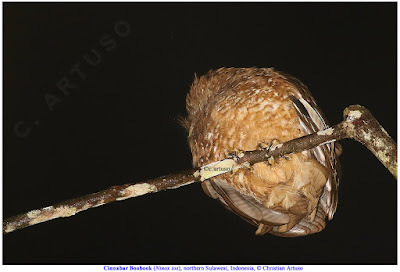 The also take many beetles and other invertebrates on the ground. Not at all common in many parts of its Australian range, I was delighted to have this change to observe one roosting on a low branch and study its unique structure. 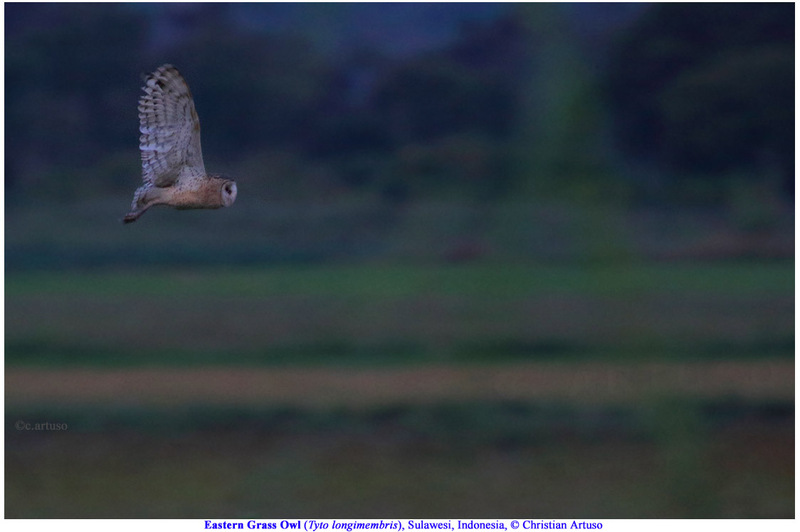 I was also impressed by the crispness of the white spots on the wings. Of course, this is not a complete set of Australian owls but I hope it serves as a useful introduction.